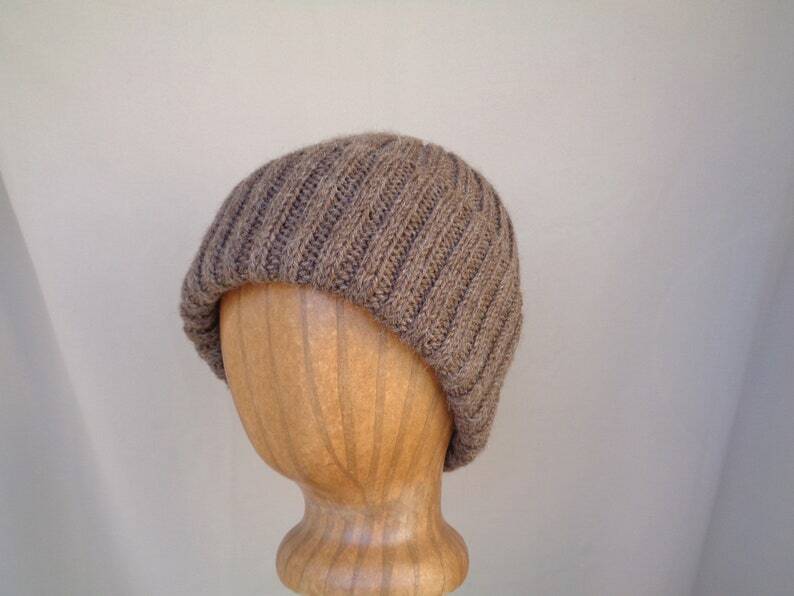 Hand knit alpaca wool hat, roll brim beanie (watch cap) style. Soft and warm in an alpaca & wool blend yarn. Stay warm and be natural! Color is a natural warm brown with hints of white, fabric has a light fuzzy texture. Very stretchy, will fit teens, women, and average men.